Before to hit up those two videos below, let’s compare a little the features between these two smartphones. Well, Nokia N8 is the latest N-series phone with Symbian OS and features a 12 megapixels camera with Xenon Flash and Carl Zeiss optics capable to record HD video at 25 fps, while, the latest iPhone 4 features a 5 megapixels camera with LED flash, capable to record HD video 720p. In the next videos you can see how iPhone 4 is more sharper in colors than Nokia N8, but N8 is more natural and has a better white balance. Also, if you compare that to a normal camera you’ll see the normal camera is closer to the N8 than the iPhone. Watch these two videos and let us know what do you think! 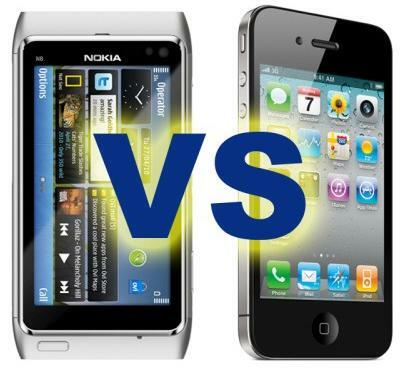 You may also want to check out the benchmark battle between Windows Phone 7, Nexus One and iPhone 4.